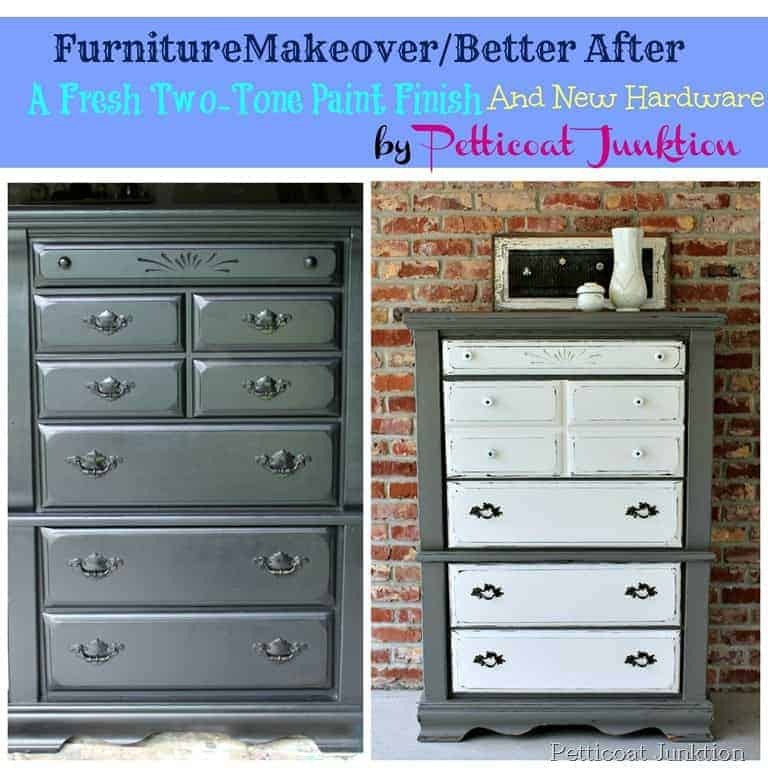 I have another furniture makeover for you guys. 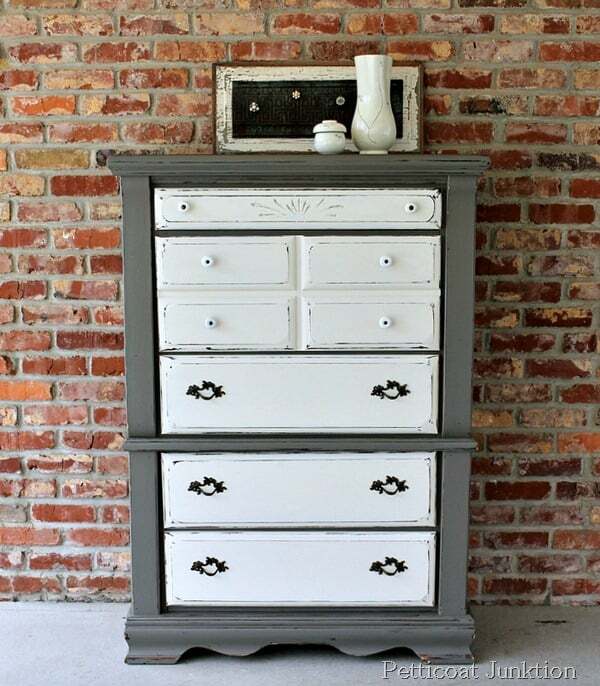 This is our master bedroom chest of drawers that now matches the Nightstand Revival from last week! 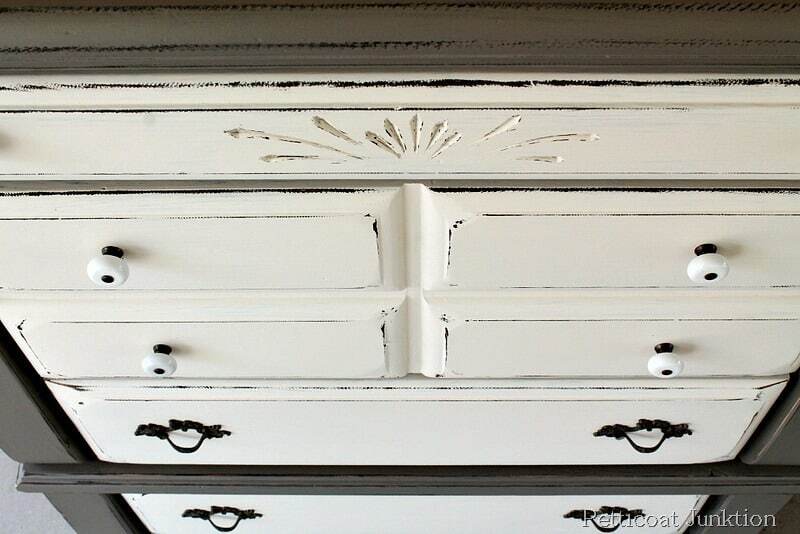 If you remember, I am in the process of redoing our master bedroom…..and I use that term loosely. Our home was built in 1967 so our bedroom is pretty small, the closet is almost non-existent, and the bathroom is tiny with a shower and no tub. This is the before and after of the chest. I painted the bedroom furniture black a few years ago. We had the ever popular canon ball bed and heavy furniture from the 1980’s era. I got rid of all the pieces except the chest when I redid everything 4 years ago. The pair of nightstands were purchased in Florida at a flea market. 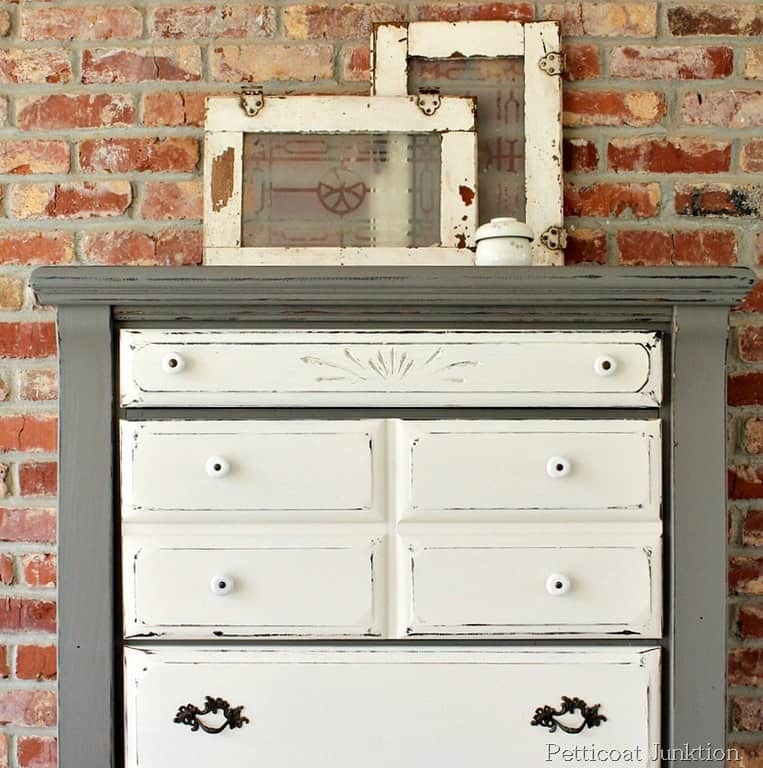 Ok, I’ll just go ahead and pop in a picture of the nightstand makeover…..
Isn’t it cute. To see the makeover details just click on the pic! The hardest part of this makeover was filling the holes from the original hardware and drilling new holes for the replacement hardware. Then I had to find screws for the hardware because the screws were too short for the thick drawer fronts. It probably took twice as long working with the hardware as painting the chest. The Junktion Technical Specialist emptied out the chest and we moved it to the workshop on Saturday afternoon about 4. After project completion we had our photo shoot and the chest was back in our bedroom by 2:30 Sunday afternoon. If I only painted it with no hardware changes, it would have been a half day job. 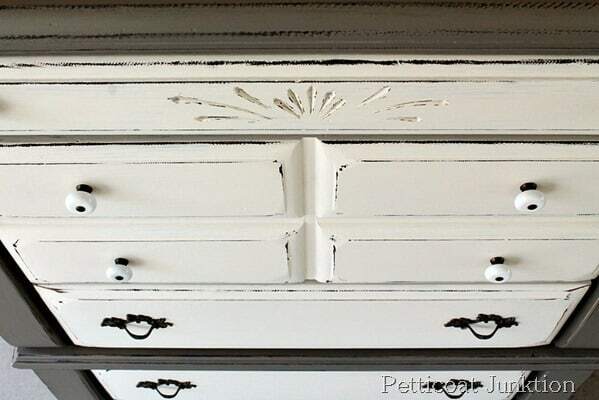 Painting furniture is not rocket science, it’s really, really, easy. The paint is Reclaim off-white for the drawers and I mixed Reclaim Off-white, Licorice, and Mocha to get the color for the casing. I distressed the edges so the original black paint would show through the new paint. So what do you think about this furniture makeover? I bet you have a great big bedroom with a sitting area and giant walk-in closets and a master bath with his and hers showers! 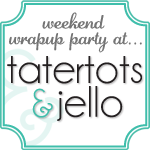 Keep up with me by reader below or sign up for email updates on the sidebar. I just saw on it all started with paint and I had to come get a closer look!! It is amazing! I LOVE IT. Fantastic makeover. Nice color combo. Looks great! I’m a teacher and my summer begins today, looking forward to painting the furniture that’s been gathering all year! 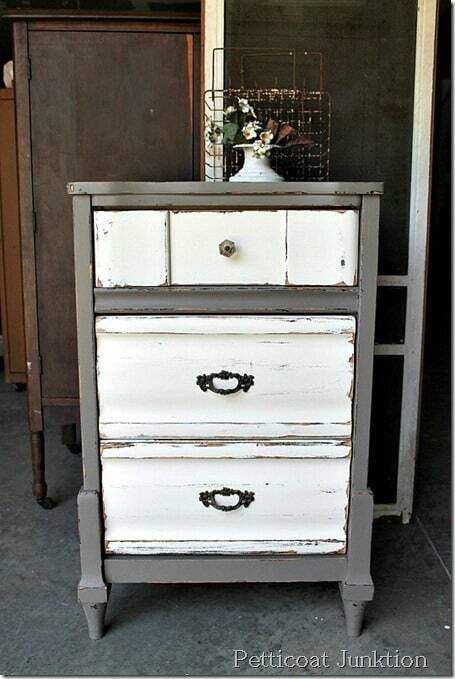 You are really getting great at these 2 color tone furniture pieces. I like the contrast with darker color and lighter color drawers. 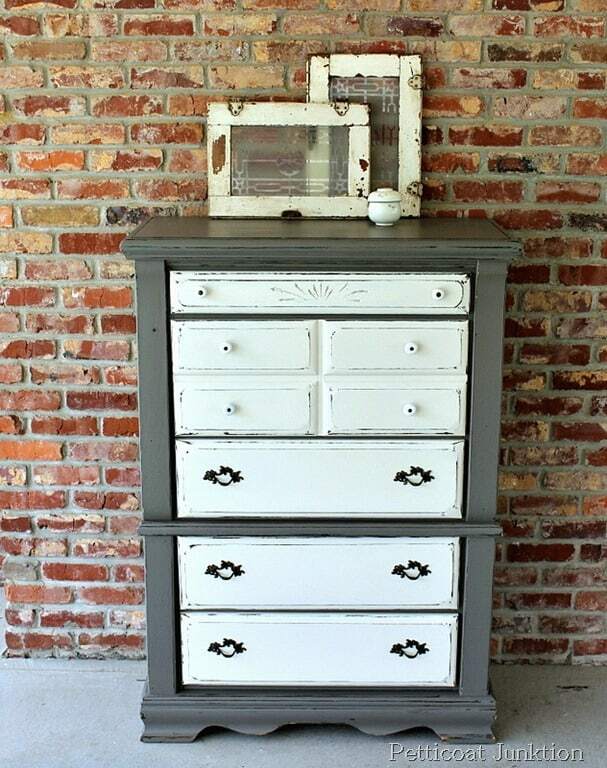 Good job – dresser & nite stand look fabulous! Love it, Kathy!! The colors are wonderful, especially the licorice-mocha mix! What do you call that color? It is not really grey, is it? But it’s truly divine!! Thanks for sharing your bedroom redo.